26 x 3.50 - 4.80"
On the heavy side but will do the job in an emergency. One of the lighter tubes for fatbike wheels. Very good. Seems fine. The default fat bike inner tube. Good price, quick delivery. 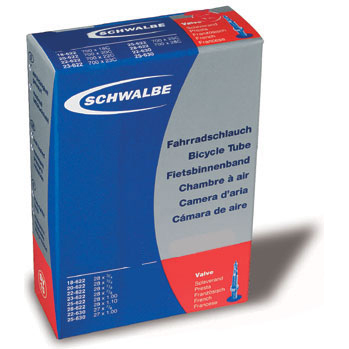 A great value tube, which appears to be well made. I`ve not used them yet as they were purchased as spares. However I`m glad they are presta as they fit my CO2 inflator. A good deal all round. This is a reliable product. If you don't run tubeless these give confidence. Best tubes for larger fat bike tyres. Definitely lighter than most, but work with 4.8 inch tyres. I wanted a spare tube for 4.8 tires and this does the job without much weight. So far so good. Seems good quality innertube. Not the heaviest. Fitted & inflated easily. Not used in anger yet.